LAURA BOLDRINI, the President of the House of Representatives of Italy and Liviu OLTEANU the Secretary General of the AIDLR, during their discussion that took place at the international conference on Security and Hate Speech held Under the Auspices of G7 in Rome on 14 of September, have been expressed the interest of both parts on initiating a contribution and collaboration during the next Global Summit planned to take place in the international arena regarding security, freedom of religion, freedom of expression and other international concerned issues. Olteanu appreciated the active contribution developed by the President Boldini and remarked her consistent and valuable message on defense of free speech and international security, and underlined her “warning on rising abuse on various social media was being fueled by fake news” and also, “she complained about hate speech on the social network and put forward several proposals on ways to deal with the problem”. Laura Boldrini can be appreciated as an important European politician that gives a strong message in Italy and Europe too on need of strong commitment in favor of democracy, security and respect for all people. 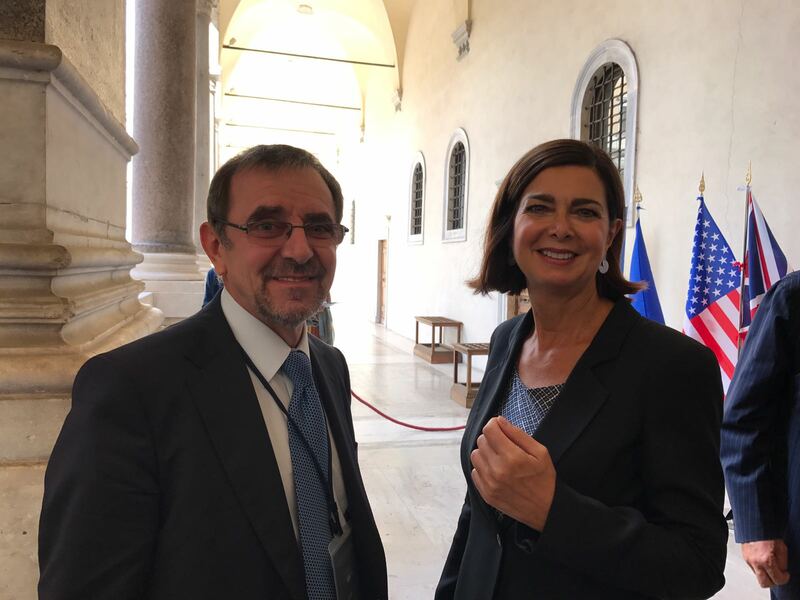 Liviu Olteanu talked with President Laura Boldrini on collaboration by participation at conferences under the international platform on “Religion, Peace and Security”, proposed in 2016 at the United Nations in Geneva by the AIDLR and the United Nations Office of Genocide Prevention from New York.